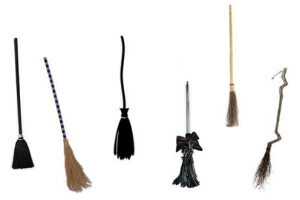 Halloween is the time when we welcome those eerie bumps-in-the-night frights. 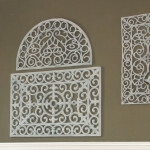 In fact, we go out of our way to dress down our home to make it look scary. 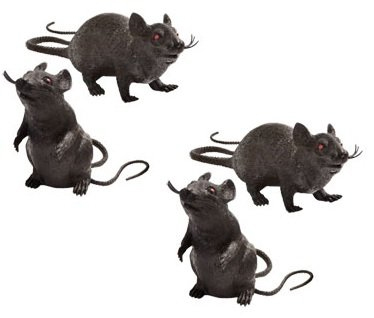 Here’s a fresh idea on bringing a little fun Halloween decorating into your home: Download and cut out these rat silhouettes, and then let Halloween rats cavort on your fireplace mantel. We like to call it Rat Attack! 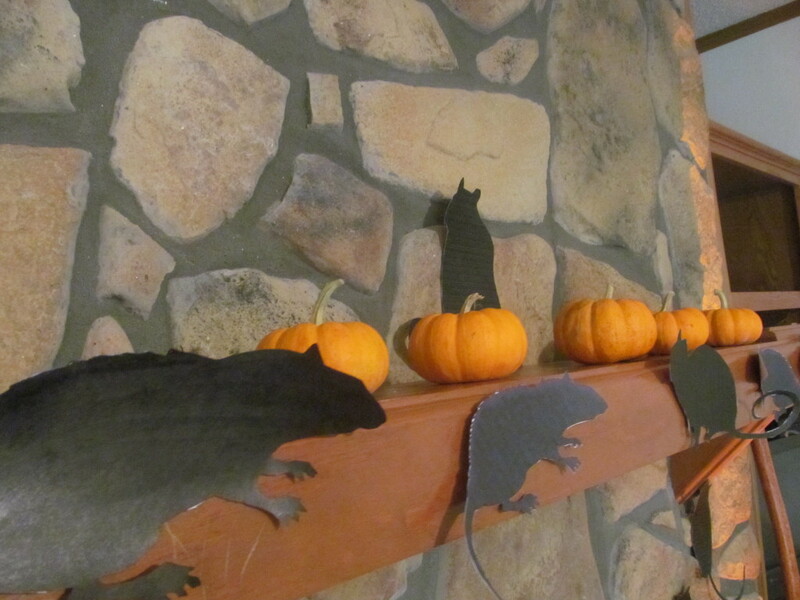 Halloween rats scamper around the fireplace. Now, don’t let your skin go crawling on you. 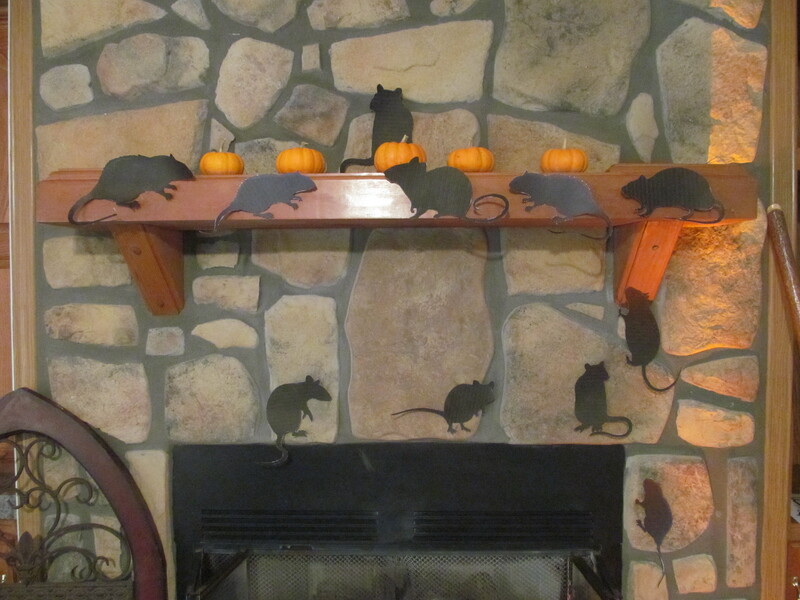 These rats are simple Halloween fireplace mantel decor cutouts, but they can bring some colorful conversation to your Halloween bash. 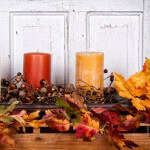 It’s such an easy fireplace craft that your kids might want to get in on the action. Here’s how you can do it at home. 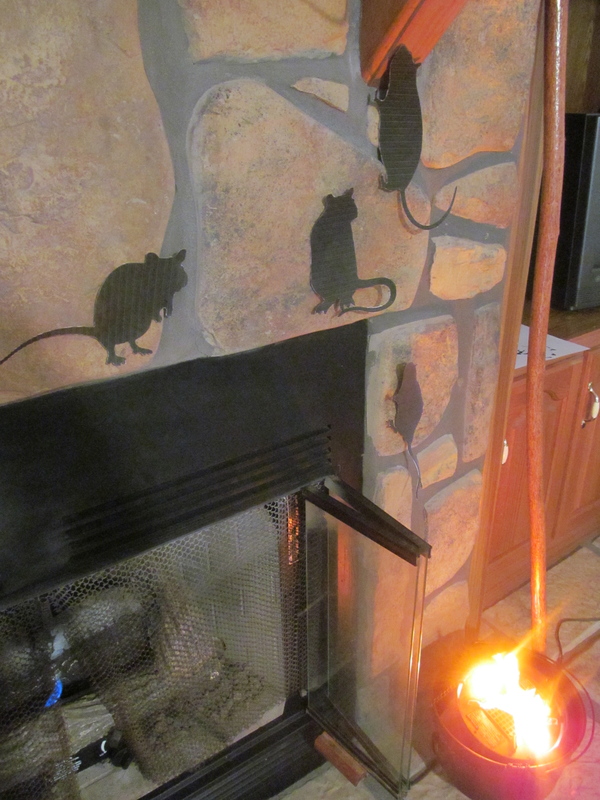 Download the attached rat silhouettes from FireplaceMall.com. You can print them on regular copy paper if you would like, but we suggest printing them out on a sturdier card stock that will help your look last throughout the Halloween season. Cut out the rats from the download. Touch up your rats. Even the most experienced hands may leave a little white around the edges. A quick once over with a black marker should do the trick. If your printer runs low on ink and the last rat isn’t the same consistency as the first, you can always touch up the entire silhouette with a black marker. 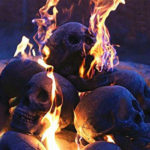 Arrange the Halloween rats on and around the fireplace and mantel. This is a good time to get the whole family’s perspective. 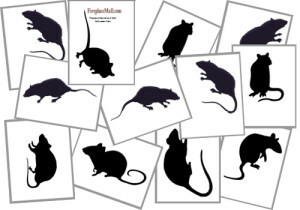 As you can see, we’ve added several shapes, sizes, and poses in our rat silhouettes. Play around with the placement until you’re happy. 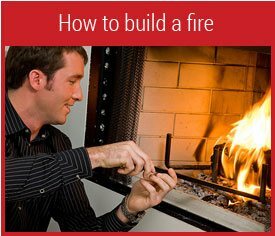 Think about how they might scurry up one side of the fireplace to escape the flame. 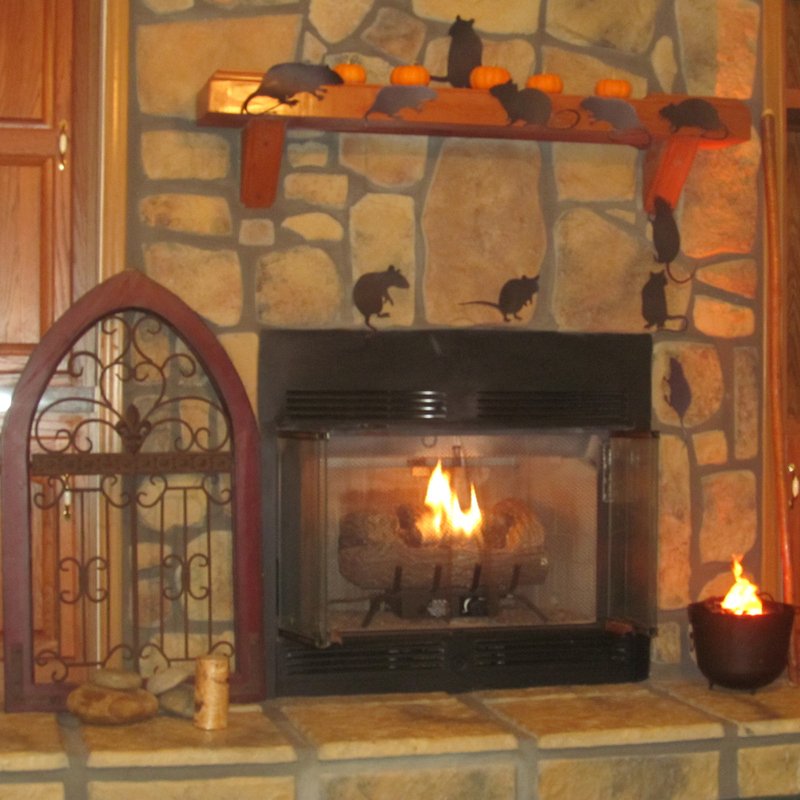 In our example, we ran random rats across the thick ledge of our hearth so the shapes would pop out in the contrast. 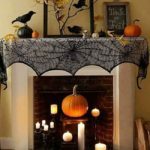 Add Halloween pumpkins, spider webs, witch’s cauldron or witch’s broom to the mantel and hearth. 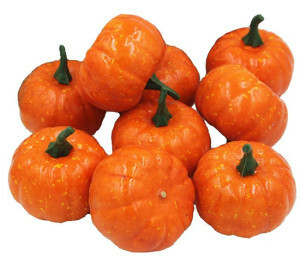 Make it Halloween festive and as ghoulish or as fun as you like! Presto! You’re done. 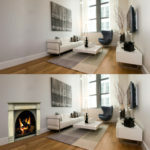 It only takes a few minutes to achieve this same look in your own home. 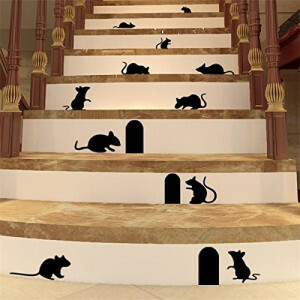 Scampering rats can climb up and around other wall, windows, and doorways in your home. 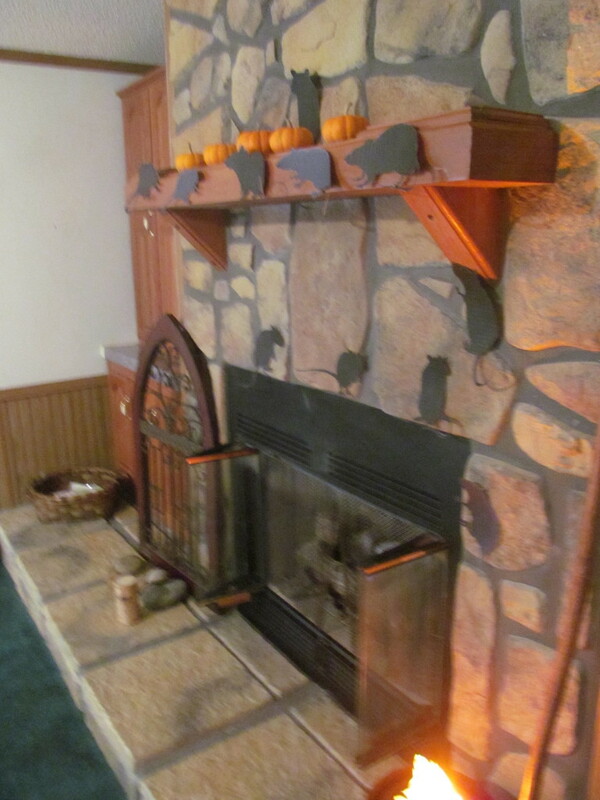 The Halloween rats need not scamper only across your fireplace mantel. The critters also look great on the kitchen back splash, running down a hallway, and climbing up and over a doorway or window. 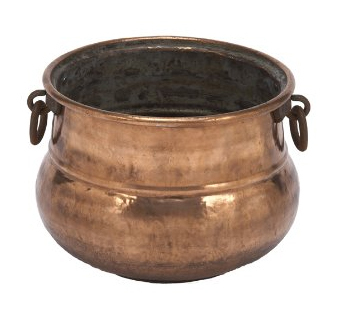 Then wait for all those Halloween ghouls and goblins to stop by so you can show them what the witch is brewing up in her special sauce – RATS! 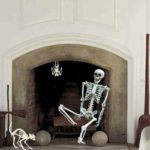 Last updated by Susan at October 30, 2016 .